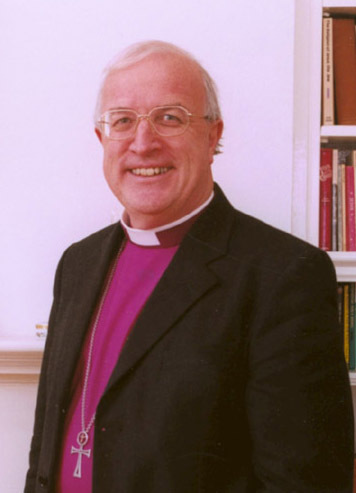 11 years ago to the day, Bishop Christopher Herbert (above) said those words to the congregation, me and others being ordained Deacon in the Abbey at St Albans. Today therefore is saturated with memories for me of the journey that God has and continues to lead me on in His service. I can vividly recall not being ready for the occasion. I don’t mean arriving late and in a flap. I mean, having a very real sense of unpreparedness. I had only begun the formal stages of my journey towards that day 2 years previously. NOTES: YouthWorker in France, In Feb ‘97 - +Henry came to ordain Curate to priesthood, ABM conf in July, College in September w/ head spinning, asking what am I doing Lord? Why me? That feeling lived with up to that day and continues to do so. And yet on that day, 11 years ago, the Church was acknowledging that, no matter how I felt on the day or since, I had been identified, trained, and sent to a specific place with the specific responsibility of initially being a Deacon for a specific period of time. In a similar way, in this morning’s Gospel reading, Jesus asks us to consider carefully the mission, the task, he calls disciples to. This morning we meet Jesus appointing 35 pairs of disciples to go from the comfort and safety of their life with Him, on a specific task, to specific places, for a specific period of time. This should not have been a shock for them. They will have been well aware that this day was coming. Luke records for us in the opening lines of the Gospel, ‘After this the Lord appointed seventy others and sent them on ahead of him in pairs to every town and place where he himself intended to go...’ After they had experienced the equipping and sending the 12 disciples in a similar mission, after they had seen a huge crowd fed with 5 loaves and 2 fish, after they had heard Peter’s declaring that Jesus was God’s long promised saviour, after they heard Jesus foretell his own crucifixion and resurrection and referring to their own following of Him in terms of taking up the cross, after they had seen copious healings and miracles, after they had seen the way that Jesus was received by some and not others, after they had begun to become aware that Jesus was asking them to place God first in their lives - above family, friendship, or other social nicities... after all this, he identifies 70 of them to try it out his job for themselves. Jesus appoints seventy disciples and sent them on ahead of him in pairs to every town and place where he himself intended to go. This sending of the 70 was part of a strategic, planned mission not some random whim of Jesus. The places where these pairs were to go, were places on His’ agenda anyway. Go, says Jesus, aware of where you are going and what people are really like. Go like lambs in the midst of wolves. Go attentive to your surroundings and the people you are amongst. Go with an openness. Go with a vulnerability. Go also, not unprepared, but with little to tie to a certain place or people. Don’t take a bag, sandals, a purse or a money belt. Rely on the hospitality and provision of others - rely especially on God. Go proclaiming a message of peace - a message of the saving love of God, of his holiness in the now; a message that God longs to be in relationship with all people whether Jew, Greek or Samaritan. Go with the message ‘God loves you. He wants to be with you. WIll you come and be with him?’ Go with this message to house and town alike. Go expecting to have your message received well, go expecting to have your message ignored and be drummed out of town. The 70 return rejoicing. 2. Go to where we are sent - strategically sent by God to our work, school, home etc to be disciples for him there. 4. Go, attentive to the people around us, what questions they are asking about life and the universe. Go with the same message - of peace, of wholeness, of the holy presence of God in the now. Go with the same message - God loves you, he wants to be with you, will you be with him? 5. There will be times when you get it wrong though says Jesus. There will be times where you long to leave a certain place, unsay certain things, where you wish to shake the dust from your feet and leave. Speaking of dust, in the past 11 years I’ve conducted literally scores of funerals. At most of them, I’ve felt that my words have helped a little, that those who are grieving most have experienced something that may be the beginning of the beginning of healing through the service. But the services I remember long afterwards are those where it has been clear that nothing has got through to the mourners at all…that I might as well have read the yellow pages aloud for all the difference my words and prayers made. I’d be surprised if similar things don’t happen for some of you…it’s tempting to allow ourselves to be weighed down by negative experience, to allow past failures to hamper future ventures. Churches can do it too…we tried that in 1974 and it didn’t work…so we’ve no courage to strike out now. Here, Jesus gives us permission to set our failures aside and leave them behind. If at first you don’t succeed….move on, move on…there’s a whole world that needs to hear the Gospel. Strip yourself of all extraneous support, then set out in the strength that God supplies – and to Him be the glory.